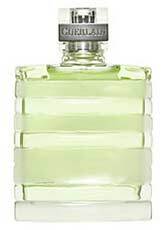 Guerlain’s Vetiver is a classic that’s been reformulated over and over. As near as I can tell, the old and new versions smell pretty similar. I have only tried the new version on my skin. In Bottle: Lovely green and clean with earthy notes that spells fresh rain, leaves, and woods. Applied: Green and citrusy clean. Lovely wet scent that ushers in the woodsiness with a nice elegance. One of the things I tend to notice with BPAL (Black Phoenix Alchemy Lab) fragrances is their dirt note is very pronounced. Fantastic for those who like more earthy scents but I prefer what the dirt in Vetiver is doing, lending a small essence of itself without being pronounced. I smell it’s there but it isn’t overpowering anything, in other words. The cleanliness of Vetiver is a fantastic feature as the fragrance shifts into a beautifully balanced dry, clean, spicy and woodsy fragrance. As the scent ages the citrus disappears leaving that clean dry spice and wood to mix with a pleasant light smokiness. While I’m trying to separate these notes, I’m not having an easy time. Vetiver is a masterfully balanced fragrance that makes it difficult to pick out individual notes and frankly, when a fragrance is this well balanced, I don’t care enough to pick the notes out of it. Just take it for what it is, a clean masculine scent that’s been referred to as a classic for good reason. Extra: Vetiver is a type of grass that smells dry, green and grassy. Guerlain’s Vetiver came out in 1961. Design: Presented in a lovely glass bottle with alternating clear and frosted glass stripes. Vetiver’s bottle is functional, pleasant to look at and easy to hold. Notes: Bergamot, lemon, mandarin, neroli, coriander, vetiver, cedar, tobacco, nutmeg, pepper, tonka bean, capiscum. If you were planning on picking up a bottle of Vetiver, definitely go out of your way to test it out first. This fragrance smells very different on the skin than it does on paper. Reviewed in This Post: Vetiver, 2008, Eau de Toilette. This entry was posted in classic, guerlain, Reviews By House, woodsy and tagged citrus, classic, clean, earthy, grassy, guerlain, masculine, smoke, spice, vetiver, woods, woodsy. Bookmark the permalink. ← What Does Princess Leia Smell Like?